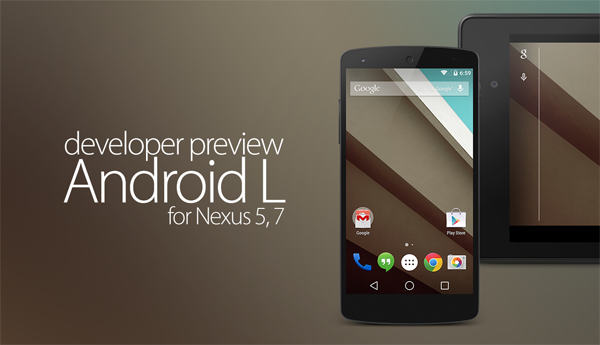 Android L 5.0 Final Name to be "Lemon Meringue Pie" ? There's plenty of indication that the next version of Android, dubbed project L for now, will actually be called "Lemon Meringue Pie". Google introduced the Android L framework with the new Material Design language, and now we are waiting on a retail build to hit the shelves, most likely debuted on an HTC-made Nexus 9 tablet first, with a 64-bit Tegra K1 processor, and allegedly 4 GB of RAM. 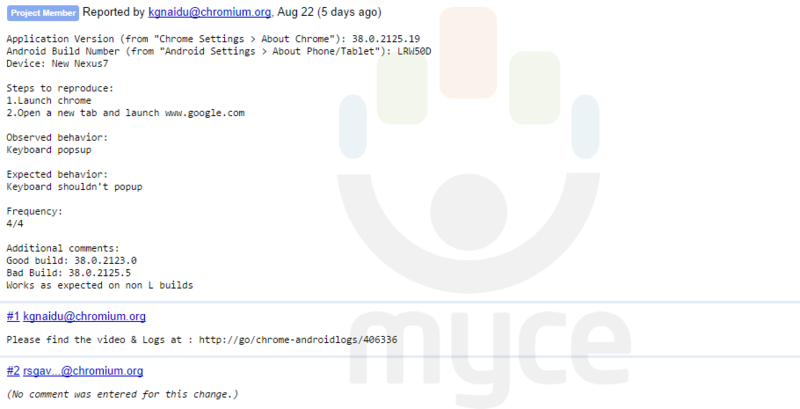 Meanwhile, a Lemon Meringue Pie Android build, codenamed LRW50D, has been noticed in the Chromium issue tracker. Ever since Android Cupcake, Android builds have carried such short internal titles, which follow their development chronologically. "L" here stands for the Lemon Meringue Pie in question, "R" is for the code branch that the build originates from, "W" indicates the third quarter of the year, and, finally, the number 50 are the days going into the quarter, which would peg the LRW50 release happening on August 19th, while "D" is the fourth edition for that same day. As is to be expected from the beta versions of any OS, the version of Android 9 Pie running on the Galaxy S9 and S9+ also have their fair share of bugs. To Samsung's credit, they have been pretty quick in rolling out hotfixes and major updates to fix the issues, as encountered by users. While the last beta version of the OS released a few days ago was supposed to be much less problematic than the one before it, a major bug was preventing a lot of users from using their mobile data connection, alongside causing a lot of other problems such as poor reception, invisible options in night mode, malfunctioning lift-to-wake functionality, app update errors and of course, frequent crashes. Most of the problems have since been taken care of by firmware version G960NXXU2ZRLA (S9) and G965NXXU2ZRLA (S9+), which contain hotfixes for most, if not all of the problems that were being experienced by the users since the last beta release. Unfortunately, the updates have only been rolled out in South Korea so far, so you may have to wait a few days before it comes to other regions as well. 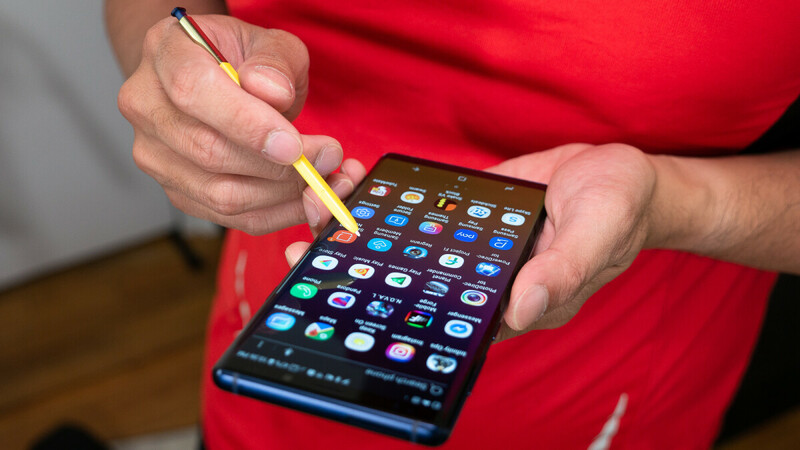 While the only Note 9 users who were able to get a piece Google's latest Android pie were so far the beta testers, that time is now over as Samsung just started to roll out a stable Android Pie update to the Galaxy Note 9. As per a report by SamMobile, the update was first seen going live in Germany merely hours ago, but it is quite possible that the same update is also being rolled out to neighboring nations in Europe as well by now. If you are a beta tester, the file will only be a 95.26MB download as you already have pretty much everything that the update has to offer, except of course, better stability. According to the report, you should see firmware version N960FXXU2CRLT making its way onto your Note 9, provided you are in Germany or it has started rolling out in your region as well. In any case, we expect every region to have the update by the third week of the month. Just like every year, unlocked versions of the Samsung flagship smartphones have not received the Android 9 Pie update yet in the US, although all the three major carriers have already rolled out the same for their respective carrier locked S9/S9+ models. Sprint was the latest carrier to join in on the action, as owners of the Galaxy Note 9 on Sprint have recently started receiving Android 9 Pie on their respective smartphones. AT&T was the first to update their Note 9 and now that Sprint has also released their variant of the update. Only Note 9 owners on Verizon await the much awaited OTA upgrade. In case you have a Note 9 on Sprint, you should be receiving firmware version N960USQU1CSAA any time now, in which the January security patch is also embedded. For most users, the update will be roughly 1.9GB in size, but in case you were one of the beta testers, the file size will be much smaller. As far as updating the unlocked variants are concerned though, you are not in luck if you live in the US! Not that your device won't get the update, but there's no telling when that will happen. It has already been a week since Germany had started receiving the Android 9 Pie update for the Galaxy S8 and S8+ handsets, and now the same update is rolling out in a bunch of other countries in Europe as well. As per 9to5Google, the new list of European nations receiving the update for the S8 and S8+ include the Netherlands, Finland, Norway, Portugal, Sweden, Malta, Belgium and Albania. Incidentally, users in India are also receiving the same, although it is likely the only subcontinental country to get Android 9 Pie for the S8 and S8+. If you are in Europe and have not yet received the update for some reason yet, expect firmware versions G950FXXU4DSBA (S8) and G955FXXU4DSBA (S8+) to arrive soon on your smartphones, with a massive download size close to 1.6GB. If you are in Russia and you happen to own a Galaxy A8+ (2018), we have good news for you. Samsung has already started to roll out Android 9 Pie for the Galaxy A8+ (2018) in the country and hopefully, more European nations will join that list by the end of the week. As pointed out rightly by SamMobile, this was a bit surprising, given that it is the Galaxy A7 (2018) that is currently on the Android 9 Pie beta program and yet the model has not been updated to Android 9 Pie first. The update also comes packed in with the February security patch and not the latest Android patch, which is expected, given that Samsung has rolled out the March security update only for the Galaxy M20 so far. Let us know in the comments if you see the patch in any other region outside of Russia. 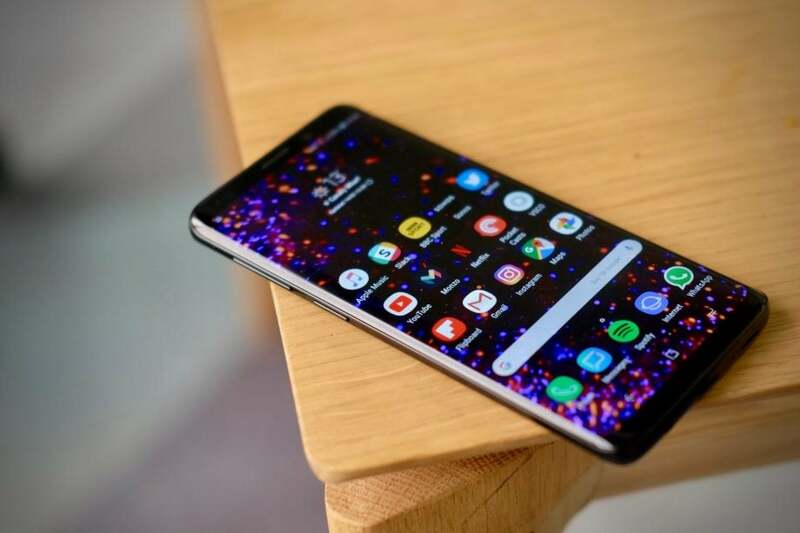 It is now that time of the year when mid-range devices have already started to receive a major OS upgrade, now that all flagship and high-end handsets from the company has been updated successfully in most parts of the world where Samsung operates. 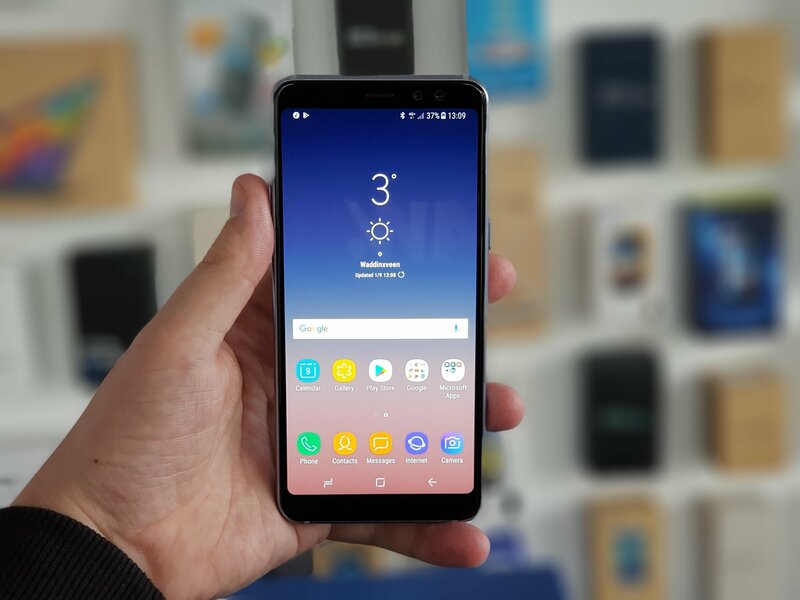 The Galaxy A8 (2018) had already started receiving the update to Android 9 Pie in Russia and India, but now users of the Galaxy A8 (2018) in Germany and Netherlands has also started to receive the same update via OTA. One would expect a major OS upgrade to be a particularly big download and that's pretty much what firmware version A530FXXU4CSC6 is! Be sure to connect to your Wi-Fi first, when the update arrives for your Galaxy A8 (2018), because it is a 1.4GB file. Keep in mind that the firmware version is different than the one that India and Russia got, because this one is meant for the major European markets only, and carries this month's security patch with it. If you own a Galaxy A8 (2018) in India or Russia, then you will still have to wait for the March security update separately, as your version of the Android 9 Pie firmware is only updated with the February patch.